The United Methodist Church is an 11-million-strong global church that opens hearts, opens door and opens minds through active engagement with our world. John Wesley and the early Methodists placed primary emphasis on Christian living, putting faith and love into action. This emphasis on what Wesley referred to as "practical divinity" has continued to be a hallmark of United Methodism today. We describe God in three persons - Father, Son and Holy Spirit. We believe God is loving. We can experience God's love and grace. We believe Jesus was human. He lived as a man and died when he was crucified. We believe Jesus is divine, the son of God. We believe God raised Jesus from the dead, and the risen Christ lives today. We believe Jesus is our Savior. In Christ we receive abundant life and forgiveness of sin. We believe the Holy Spirit is God with us. We believe the Holy Spirit awakens us to God's will and empowers us to live obediently. We believe God created human beings in God's image. We believe all humans need to be in relationship with God in order to be fully human. We believe the church is the body of Christ, an extension of Christ's life and ministry in the world today. We believe the mission of the church is to make disciples of Jesus Christ. We believe the church is "the communion of saints", a community made up of all past, present and future disciples of Christ. We believe the church is called to worship and to support those who participate in its life as they grow in faith. 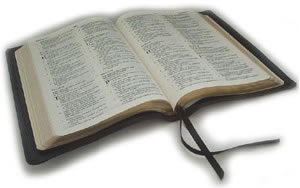 We believe Christians need to know and study the Old Testament and the New Testament.